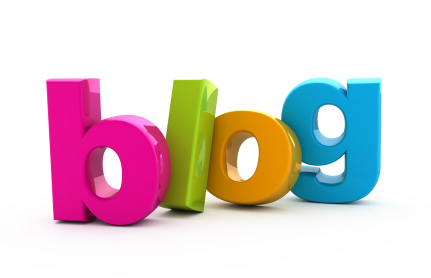 Most businesses are beginning to see the value in having a company blog, but it can be difficult to decide what to do with it once you make one. A good business blog doesn’t focus so much on selling, but instead on providing information and making your customers want to do business with you. If you do it right, your blog can help you become a leader in your industry; you should post relevant, up-and-coming information that shows customers your knowledge, while also giving them ideas. Write how-to articles. These types of posts will give your readers instructions – and you can even include screenshots or images – on how to do something related to your business. After reading articles like this, customers will view you as a knowledgeable, authoritative source. Create “tips and tricks” lists. You could offer lists with benefits for doing something or lists of things to avoid. These can help readers understand your industry better. Write an FAQ post. If you take the time to answer the questions all of your customers are asking, it shows you acknowledge them and want to find solutions. It will also help save customers’ time. Pay attention to the news. You want your blog to feel up-to-date, so incorporating current events is beneficial. You could talk about how relevant events are affecting your customers and/or your business. Talk about common myths. If you can come up with a list of common myths about a product or an aspect of your business, shed light on them and demystify them, readers might become more understanding and more likely to do business with you in the future. Be practical. Readers will like it if your posts directly relate to them. Write posts related to the seasons, time of year or specific holidays. This will make your company more relatable to your customers’ everyday lives. Record an interview. Any form of multimedia can make your blog more exciting for readers. You could turn an interview with an expert in your field into a podcast, or you could even record yourself giving useful tips. Make a step-by-step tutorial. Whether you make a video or a stream of images, readers will be excited if you show them how to do something. Everyone likes learning new things, and it’s always easier with multimedia. Be creative. Don’t be afraid to use humor in your blog, because customers enjoy when a business is down-to-earth and genuine. Try making a music video for your company or some sort of funny mashup with your employees. It’ll show your enthusiasm for your industry and your company! Make a slideshow of pictures. You can use platforms like Flickr to post slideshows with pictures from recent company events. Images always liven up a blog, and if customers find themselves in a picture, they’ll be even more excited. Write “sneak peek” posts. Give your readers inside glances at what you’re planning for the coming year, whether it’s a new location or product. You can use any form of multimedia to do this, but it’ll help you generate interest. Create polls. If you develop surveys and polls to give your audience, it shows you value their opinion and want them to be a part of your company. Make sure you publish the results of the polls in a blog post or infographic! Interview your customers. If you write an interview post or create a video with your most loyal customers sharing testimonials and success stories, readers will feel more connected with your business. Start fun contests. Make sure you occasionally reward your customers for reading your blog. You could create contests that get them more involved, such as sending in funny pictures that relate to your business and then picking the winner. Make staff profiles. By including images and descriptions for each of your employees, readers can feel more connected to you and your staff. Talk about your charity work. If your business volunteers in the community, write a blog post about your recent experiences – and include pictures and videos of the event. Show that you’re engaged with the community around you. Share customer feedback. Regardless of if you have comment cards, surveys or email forms, create a post with highlights from the suggestions you received from customers. This shows you’re listening and being open with them. Offer readers something. Give your blog subscribers and readers something to thank them for their commitment to you. It could be a giveaway that you only post on the blog, or a sneak peak at a new product or service. Using a variety of informative, exciting and engaging posts will help you keep readers interested in your business blog. With so many ways to create original content, neither you or your readers should get bored with your blog! Have additional ideas for spicing up a blog? Share them with your fellow bloggers in the Comments section.